Secluded, private, untouched and overwhelmingly gorgeous - this is the Sprague Family Farm and grounds in Cape Elizabeth, Maine. 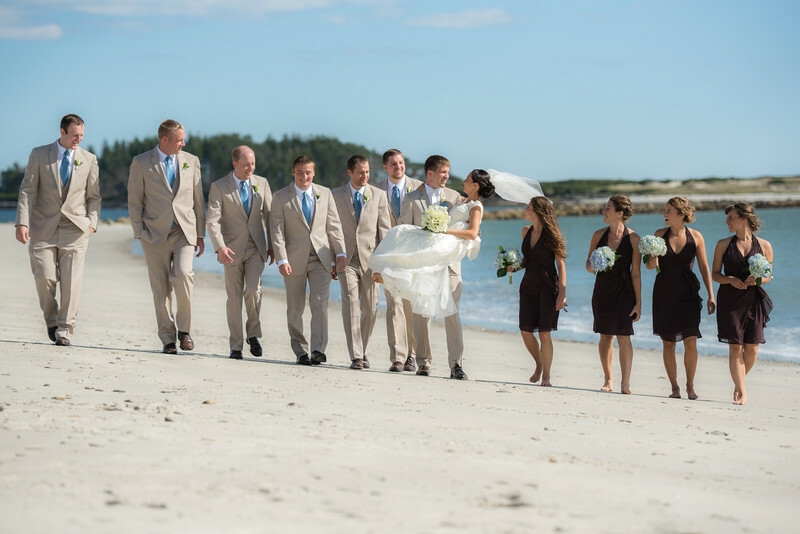 Here we are with the bridal party from Dustin and Tiffany's wedding at Strawberry Beach. Just getting to this beach was no simple task as we drove through miles of tiny dirt roads through woods that twisted around like a maze terminating at a parking area for just 5 cars. Then a quarter mile board walk finishing at a beach that is the definition of secluded and beautiful. This is one of the special locations that make a wedding day like no other. And this is where Tiffany and Dustin wanted to have their images taken. I was thrilled. Location: Sprague Farm, Cape Elizabeth, Maine.